Hugo Chávez’s greatest legacies are not in the presidential palace, but in the streets, factories and neighborhoods of Venezuela, among the activists, workers and neighbors who have built the Bolivarian Revolution from the bottom up. The bus slid along the Bolivian jungle road, with evangelical music blasting out of the speakers. Rain dripped steadily through the holes in the roof as the vehicle surged ahead in fits and starts, past the lights of small villages and the vast blackness of the Chapare, a tropical region in the center of the country. Eventually the rain gave way to dawn, and a hot sun baked the damp bus as we rolled into the city of Santa Cruz, where the 2003 Ibero-American Presidential summit was taking place. On the outskirts of the city, Venezuelan President Hugo Chávez later spoke to a stadium packed with Bolivian coca farmers carrying bags of the green leaf and miners with mini Bolivian flags waving from their helmets. Chávez captivated the stadium for hours, talking about baseball and Simón Bolívar, criticizing George W. Bush’s war in Iraq and congratulating Bolivia for recently ousting a neoliberal president in popular protests. Smoke blew over the crowd from barbecues and occasional fireworks as the Venezuelan leader spoke into the night. Here was a president marked by the movements and politics that surrounded him. Brazil’s Landless Movement cheered him on in a dusty gathering Porto Alegre in 2005 as he announced that Venezuela’s Bolivarian Revolution (named after the Latin American independence leader) was a socialist political project. And the crowd went wild later that same year in Argentina as Chávez, alongside Maradona, celebrated the death of the Free Trade Area of the Americas. At these encounters, what was always the most impressive thing about Chávez was not so much what he said or did, but the political space and moment that surrounded him. From the Bolivian coca farmers who felt common ground in his ant-imperialist stance, to the many fellow leftist Latin American presidents that came into office during his 14 years in power, Chávez was defined by an era and a movement in Latin America that is far from depleted. As an icon of the contemporary Latin American left, he helped create a space for other presidents to move in, whether it was with Ecuador’s Rafael Correa kicking out a US air base, or Bolivia’s Evo Morales nationalizing natural gas industries in Bolivia. The progressive constitution that Chávez helped rewrite provided a model for other governments to follow over the past decade. The regional blocs he worked to create fostered south-to-south economic and political alliances, provided a check to US military power in the region, and encouraged the leftist politics and economic policies of presidents across Latin America. Beyond this regional influence, some of Chávez’s greatest legacies are not in the presidential palace, but in the streets, factories and neighborhoods of Venezuela, among the activists, workers and neighbors who have built the Bolivarian Revolution from the bottom up. From communal councils to worker-run factories, Venezuela is the site of the some of the most sophisticated and successful experiments in direct democracy, socialism and worker-control in the world. While Chávez was a key figure in the development of many of these projects and initiatives, it is the Venezuelan people that brought them to life and will keep them alive after his death. Many of these programs are characterized not by top-down, bureaucratic state policies, or government funding handed out to create electoral support. 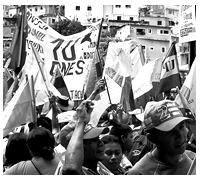 They are the projects of people using the Bolivarian Revolution as a grassroots tool. Since taking office in 1999 Chávez used his mandate as a leader, and the nation’s oil wealth, to create programs that provide free education, dental and health clinics, land and housing reform, government-subsidized supermarkets, and hundreds of thousands of business cooperatives. In Venezuela, where much of the population lives below the poverty line, these programs have had an enormous impact. Other government initiatives have helped spur on activism from below, self-governance at a local level, and direct democracy in political decision-making and funding. A story from the neighborhood of El 23 de Enero in Caracas is emblematic of such progressive trends. El 23 de Enero neighborhood has a history of social consciousness and rebellion; as a poor, working class neighborhood, El 23 de Enero was marked by the police as a dangerous area, whose residents should be controlled and repressed. During conservative presidencies, the local police station was a place of torture and imprisonment for many leftist community leaders. After decades of state violence, and following the election of Chávez, the community was able to reclaim and transform this center of police repression. Juan Contreras, a radio producer, leader in the community organization Coordinador Simón Bolívar, and long-time resident of the neighborhood, told me how he and his compañeros took over the police station—for decades an outpost for crackdowns on leftist organizing—and transformed it into a community radio station and cultural center. “This place was a symbol of repression,” Contreras explained to me in the studio, which smelled like fresh paint. “So we took that symbol and made it into a new one.” He continued: “It is evidence of the revolution made by us, the citizens. We can’t hang around waiting for the revolution to be made for us; we have to make the changes.” The station receives state funding, but community members fought hard for permission to reclaim the police station by occupying the building without permission. El 23 de Enero’s victories are examples of how Venezuelan movements worked with the Chávez administration by demanding attention through direct action, and then working with subsequent state support. The tactic used in El 23 de Enero of seizing upon the opportunities and space provided by the Chávez government, while also maintaining grassroots autonomy and momentum from below, is the foundation of many of the hopeful social changes going on in Venezuela today. Communal councils offer an interesting look into some of the participatory aspects of the Bolivarian process. They were created by the government in 2006, and thousands of them exist across the country today. The councils work to solicit funding from the government, begin social projects, programs, and missions in their community, and deal with issues like the management of local health and water projects. 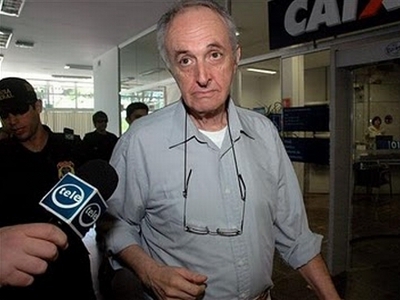 Long-time Venezuelan activist Alfonso Olivo believed the communal councils were “the most revolutionary measure that this government has taken” due to their transfer of power from mayors and governors to the ordinary citizens in the councils. “The people are capable [of social planning] by themselves, without the involvement of the state or the bureaucratic officials,” he explained in the excellent edited collection of interviews Venezuela Speaks! Voices From the Grassroots. Communal councils in Venezuela show the fascinating push and pull that emerges where the state creates structures and projects that build community bonds. The councils are sometimes autonomous from, or even antagonistic toward, the Bolivarian state and party. The Chávez administration organized the councils in ways that encourage community involvement. Anyone over the age of fifteen can participate, and for a decision to be officially made, at least 30 percent of those in the council have to vote on it. In urban areas, councils must involve a minimum of 150 families, and around 20 families in rural areas. This scale means that the councils promote direct participation and are relatively easy to self-manage. When a council comes to a decision for a project, they can receive funding directly from the national government or national institutions, dispersing power away from local mayors and officials and into the hands of residents themselves. Communal councils have provided a check to the power of local governments, as well as a platform to demand transparency and a more efficient bureaucracy from the government. The smaller scale and local focus of these councils is essential to their functionality, helping to eliminate unnecessary bureaucracy and circumvent corrupt or unresponsive politicians. The councils can also provide a counterweight to a more centralized state. 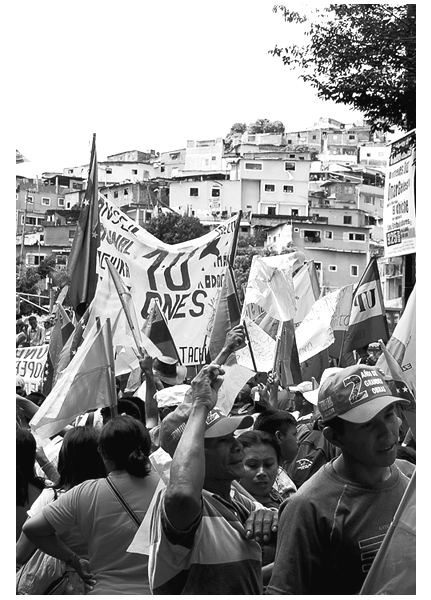 Political scientist Sara Motta writes in Reclaiming Latin America: Experiments in Radical Social Democracy that the communal councils “are an attempt to create a new set of state institutions that bypass the traditional state, and distribute power in a democratic and participatory manner.” The elasticity of the relationship between the grassroots and the state is tested here through a public empowered by state-created institutions—institutions that citizens can then use to challenge the traditional state if necessary. The balancing act between remaining autonomous from the state and engaging it is described by council participant Edenis Guilarte in Reclaiming Latin America, “We must obtain the tools to be able to struggle against the bureaucracy and search for a way to get rid of leaders who want to control us, look to maintain their own power, and who divide the community.” In this sense, the councils can be a tool of emancipation. “What we are doing,” Guilarte explained, “is training, creating consciousness, which is a process that goes beyond repairing a road, obtaining a service, enabling access to water. It’s a macro process, a process of social change, a fight over ideas and practice.” The social bonds created by working on development projects through these state-created institutions can supersede the immediate goals of the actual project. While communal councils manage budgets and develop community projects, they also serve as a basis for networking and developing community ties, which are then useful beyond the councils’ work. For example, Ismila, a community activist in a Caracas neighborhood, explained that when the public water company Hidrolara didn’t respond to demands from her community to deal with a sewage backup for two days, the members of her communal council decided to take matters into their own hands. Because they were used to working together, debating and organizing, it was easy to coordinate a trip to the Hidrolara offices and demand to speak with the person in charge of dealing with sewage emergencies. Together, they had to pressure the officials for two hours, but ended up returning to their community with an engineer to take care of the problem. Ismila said, “We learned today that Hidrolara is useless as an institution, it does not work for the communities. These officials think they know everything and don’t listen to the community until there’s a problem.” So while the bureaucracy posed a problem, the solidarity and sense of community developed through the communal councils helped to solve it. The communal councils provide the tools for local organizing, which has a great potential to dismiss government clientelism and assert autonomy, helping people to live and organize beyond the state. The Chávez government worked to open up spaces for community organizing, like that of communal councils and cooperatives, but also to encourage worker-control at factories and work places. In 2005, the Chávez administration announced decrees that enabled the state to expropriate businesses and factories to allow workers to manage them as cooperatives. With the legal steps in place for the state to intervene when a factory or business shuts its doors, the government can now collaborate with the workers to make sure the business continues and the workers remain employed. Furthermore, under worker self-management, workers have control over major decisions about how their workplace is organized. Dozens of businesses across Venezuela have come under state and worker control. In 2005, workers took control of Inveval, a valve-producing business on the outskirts of Caracas. Pablo Cormenzana of Inveval explained in a 2006 interview with journalist Marie Trigona that the plant shut down on December 9, 2002, leaving the workers out of jobs. “Originally, there were 330 workers at the plant. A group of these workers decided to begin a fight to demand that the former owner pay them back what he owed them. Later, this demand transformed into the idea of recovering their jobs and to re-open the company.” This legal and political battle went on for years of organizing, workers camping outside the factory, and legal battles, until the factory went under state and worker control. “Not only are the workers at Inveval successfully running a company without bosses or an owner, they’re also doing it without technocrats or bureaucracy from the government. The government has had little participation in the functioning of the company,” Cormenzana explained. “All of the workers make the same salaries, it doesn’t matter if they are truck drivers, line workers, or the president of the company. They are putting into practice genuine worker control at Inveval.” Inveval provides an interesting example of empowered workers taking charge to push the government to operate as a tool for the workers, rather than the other way around. Throughout these various projects, conflicts, and relationships, the Venezuelan public has utilized the state as a people’s tool, and collaborated with it when the causes of the people and the government intersect. A true test for these movements from below is to what extent the Bolivarian Revolution will outlast Chávez. Beyond the ongoing, everyday activism and organizing of people across Venezuela, one step will be the new presidential elections, now slated to take place on April 14th. Nicolás Maduro, a former bus driver and union leader, who was first elected to the National Assembly in 2000, was chosen by Chávez to be his successor. Maduro, who was Vice President and is now interim President, will run in the upcoming elections against right-wing opponent Henrique Capriles Radonski, who Chávez beat by 11 percent in last October’s election. It is likely Maduro will win. Regardless of the outcome, the influence of Chávez-initiated programs and policies will be felt for generations in Venezuela and across Latin America. The examples illustrated here are just some of the many hopeful projects in direct democracy and worker-control that mark Chávez’s legacy. Beyond Venezuela’s borders, this legacy includes a wider movement against US imperialism and capitalism, and for human rights, progressive land reform, peace and a just global economy. On December 2, 2011, as clouds hovered just above the working class neighborhoods on the green hillsides around Caracas, the foundational summit of the Community of Latin American and Caribbean States (CELAC) met. When walking around their meeting room, I realized that the political left of the 20th century was together there with the left of the 21st century: former guerrillas-turned-presidents Daniel Ortega and Raúl Castro sat at the same table as Cristina Kirchner and Evo Morales, with Chávez looking over it all from the head of the room. The goal of the meeting of 33 Latin American and Caribbean heads of state was to create a regional alliance that would make the US-dominated Organization of American States obsolete, and move toward self-determination outside of Washington’s power. Benjamin Dangl is has worked as a journalist throughout Latin America, covering social movements and politics in the region for over a decade. He is the author of the books Dancing with Dynamite: Social Movements and States in Latin America, and The Price of Fire: Resource Wars and Social Movements in Bolivia. Dangl is currently a doctoral student in Latin American History at McGill University, and edits UpsideDownWorld.org, a website on activism and politics in Latin America, and TowardFreedom.com, a progressive perspective on world events. Email: BenDangl(at)gmail(dot)com.